Who said florals were just for spring? 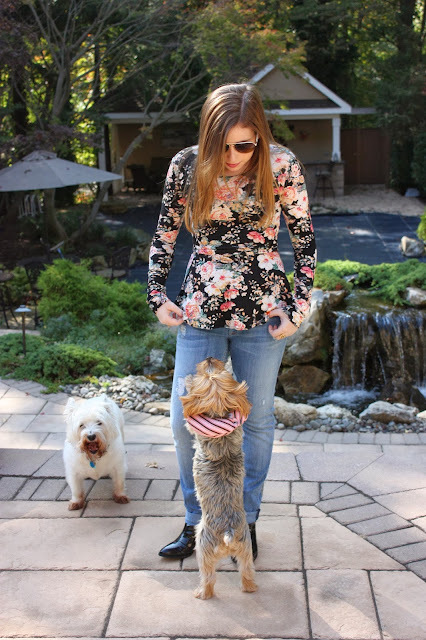 This Aritzia floral peplum shirt is going to have me rocking florals all fall and winter long. I love pairing a floral with a ripped boyfriend jean (these jeans do start out tight, but they are baggy by the end of the day) to dress it down a bit and add a cool contradictory edge, kind of a boy meets girl thing. And how amazing are my new boots? Patent, pointed-toe perfection.